As you know, joining a new freelancing platform can also bring you a lot of benefits in many ways. So, have a look below and see if you can find a suitable site to offer your services. Followings are some of the great new freelancing sites that are slowly rising to become big players in the industry. As an added bonus, I checked each of the sites listed here to find out their platform fees, so you don’t have to. You’re welcome! EXCLUSIVE: Join my FREE email course to learn valuable tips, secrets, and expert advice on building a successful freelance career. 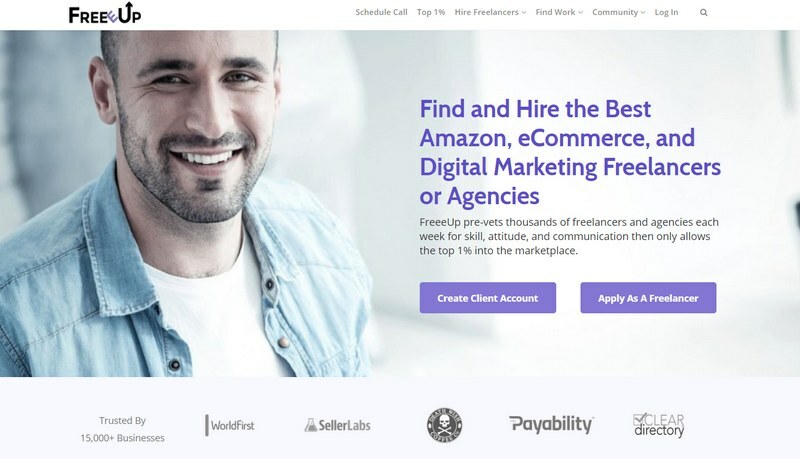 Freelance Myway is a brand new freelancing marketplace that focuses on 6 job categories, including web development, design, writing, SEO, mobile, and data entry. The platform carefully screens every freelancer to accept only the most qualified professionals. A great feature of Freelance Myway is that it requires clients to verify payment and make a deposit before the project begins to ensure that freelancers always get paid on time. The platform charges a 20% fee from freelancers, which is the same as UpWork. FreeeUp is a new freelancing platform that only accepts freelancers after putting them through a vetting process. This ensures the platform is free of unqualified and cheap freelancers. Which means you won’t have to compete in bidding wars to win jobs in this site. Instead you will be rewarded for your skills and experience. Getting into the platform won’t be easy. But, if you have a good portfolio and experience in your industry, give FreeeUp a try. WorkRoll is a website that features a roundup of all the best jobs from over 300 different job boards around the web. The platform features jobs from several categories from app design to writing, logo design, marketing, SEO, and more. Freelancers can join the platform for free and apply to jobs directly via email. The only downside is that free plan users have to wait 7 days before applying for a job. There are also premium plans for professional freelancers, which includes only 24-hour delay and a plan without delays as well. Remote.com is a well-established platform with more than 2 million registered freelancers. The platform uses an interesting AI (artificial intelligence) technology to match the freelancers with the right jobs and clients. 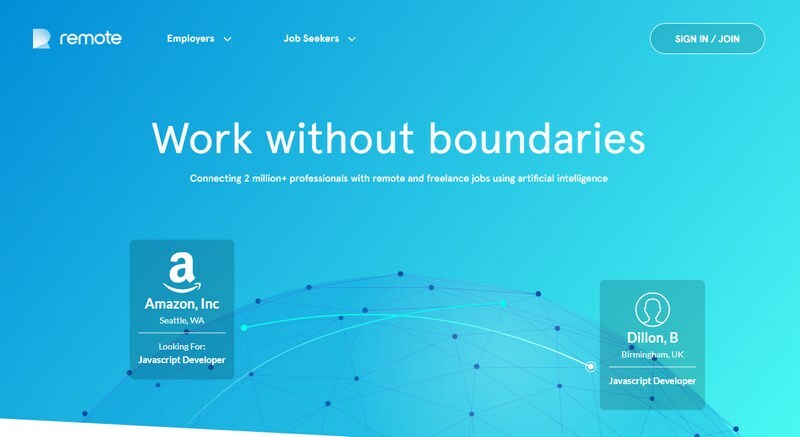 You can join Remote.com and apply for jobs for free. goLance is one of the new freelancing platforms that’s quietly on the rise to fame. It’s founder and CEO, Michael Brooks has quite an inspiring vision for the future of this new site. 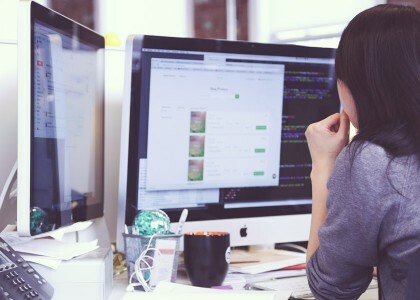 If you’re looking for jobs related to marketing, programming, or web development, this new platform will offer you plenty of jobs to select from. goLance also has a considerably low 10% platform fee. How would you like to work at a startup like Uber or Yelp? Then this is the site you’ll want to explore. AngelList consists of a massive selection of jobs posted by popular and up and coming startups around the world, including remote work. Through the Remote Jobs category, you’ll be able to find hundreds of job listings posted by startups looking to hire freelancers. And the best part is you’ll see what they’re offering to pay for the job upfront. Work Market is a platform that focuses on offering sales, marketing, communications and other business development services through qualified freelancers. The platform charges a 10% fee, but it will be deducted from the client’s transaction. Gigster is a unique freelancing platform made specifically for software developers. The site focuses on delivering high-quality services at affordable fixed prices. The pricing system on the site also allows the employers to figure out the cost for the job based on the type of project their building and the software platform. 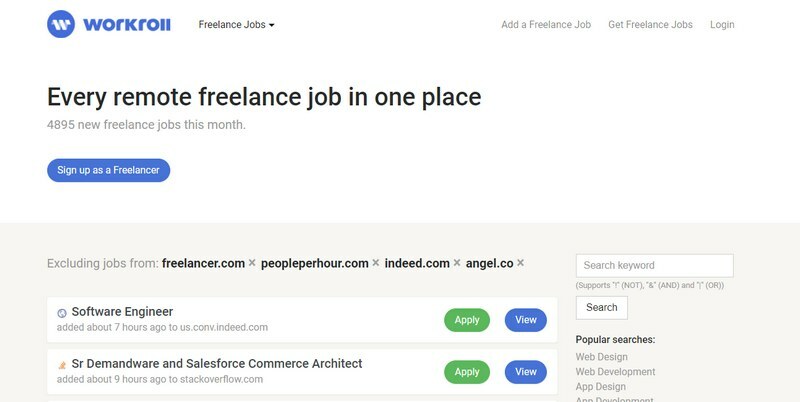 Zappos, AlJazeera, Forbes are only a few of the companies that are using Hired to find freelancers. 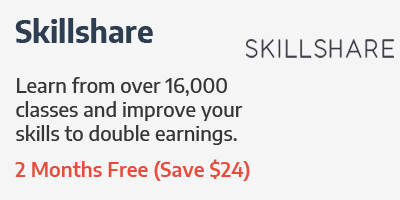 If you’re a skilled freelancer, this platform will prove to be quite profitable to you. Also, on this platform, you don’t apply for random jobs. Instead, the companies will come to you. The platform charges a 15% fee from the employers and get this, you’ll receive a $1,000 signing bonus from the website once you bill 500 hours to a client. How cool is that? RemoteOK is a massive job board for freelancers. No need to signup. You simply find the job you like, click the apply button, read the description and apply for the job through the contact email. It’s as easy as that. 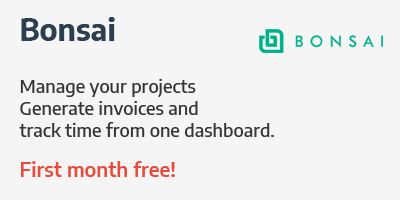 Despite the odd name, this site actually seems to offer a quality service to freelancers. Everyone from copywriters to art directors and animators can join the site. But, all have to go through a review before getting accepted into the platform. Working Not Working is free for creatives. It won’t charge a fee from freelancers. Authentic is a job board for freelancers in design, web development, marketing, and copywriting industries. The site features jobs from a variety of respected clients like startups and even universities. You’ll have to create an account at Authentic to apply to most jobs. But, some of them will simply redirect you to the job pages of the companies. GitHub is a no stranger to software and web developers out there. This official jobs board has been created by the same team behind GitHub, featuring jobs specifically for software and web developers. You can click on a link for more info and apply for a job by emailing the company. No platform fee charged for doing that. This is yet another jobs board setup by Inbound.org. 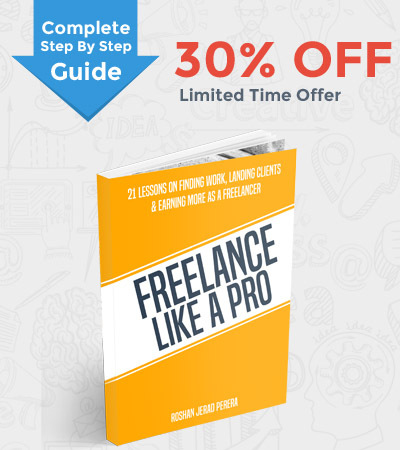 It’s for freelancers who excel at marketing. The site features a massive collection of jobs including freelance writing, social media management, SEO, and design. All with pretty great pay rates. You’ll need to signup with Inbound.org before applying for jobs. There’s no platform fee involved. Parttimerz is a community for freelancers. Mostly featuring jobs from Europe and the Middle East. After registering with the site, users can create a profile, browse jobs, and apply. Everything from consulting to web design and even jobs for nannies can be found on this site. The platform is free to use for both freelancers and employers. However, the site charges a “symbolic transactional fee” for each completed job. This is a site for gig-style freelancer living in the UK. FiveSquid is like Fiverr, but for the folks in the UK. Instead of gigs for $5 (USD), you’ll find gigs for £5 (sterling pounds) on this site. The site is already filled with plenty of gigs from different types of freelancers. Even if you’re not living in the UK, you can still join the site to offer your services. I saw more than a few services offered by freelancers in Hong Kong, India, and even the US. The platform fee depends on the price of your gig. For each £5 gig you complete, the platform will keep £1. For each £10 gig you complete, the platform will keep £2. There are two ways to find jobs on Jobspresso: 1. You can submit your resume to let employers find you. 2. You can find jobs posted by companies and apply to them directly. Once again, there’s no platform fee for this site either. Landing Jobs is a site dedicated to helping you land a job in software development, UXD, design, and video production. You can sign up and apply for a job for free. The platform fee will be charged from your clients. Proz is a platform made for freelance translators, which has been around since 1999. If you’re good at translating languages, you’ll find plenty of great jobs on this site. Just click on the jobs tab to find a job and then submit your quote. You’ll need an account on the site as well. Non-paying users will have to pay $1 per each quote you post when applying for a job. Remotive is a freelance jobs board that features jobs from highly reputable companies like Automattic, Wikimedia, and Ghost. 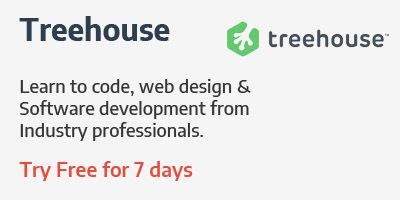 Web designers, developers, and software engineers can find plenty of jobs on this site. No platform fee involved. The links on the site will redirect you to the jobs page of each company. Speedlancer is worth a mention because the site is quickly growing in popularity. 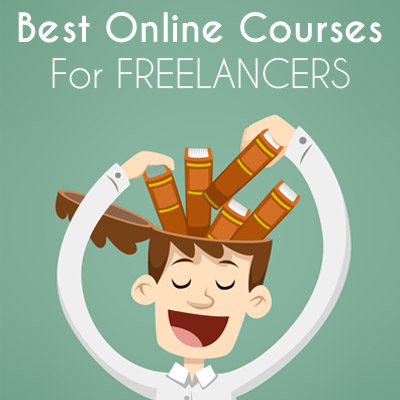 This site also focuses on featuring only the high-quality, or premium, freelancers. You’ll find a lot of experienced freelancers in there. Apparently, delivering the job in under 4 hours is the main selling point of this site. The only downside is its 20% platform fee. 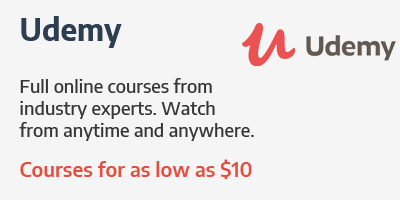 Which is pretty much the same as UpWork. Workana is a platform that features freelancers from Latin America. 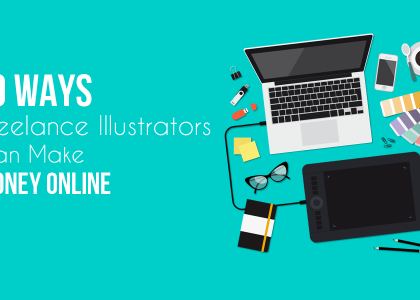 If you’re a Hispanic freelancer, you should definitely be on this site. I couldn’t figure out the pricing system for the platform. Feel free to have a look through this page. Outsourcely is another new freelancing site that rewards freelancers with amazing features and options. Outsourcely is completely free to use and it lets you keep 100% of what you earn. No platform fees. The site only charges employers for using the platform. 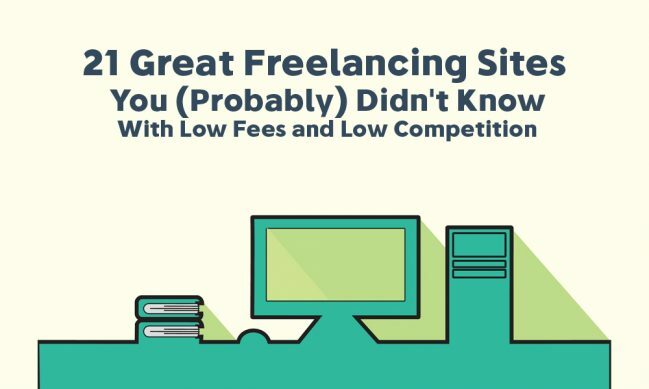 Looking for more freelancing sites with low competition? Then be sure to check out my previous list. There is a site Flexjobs. Also Freelancer and True lancer. These are great sites. Thanks for your amazing resource database. Beesy.pro is another fresh launched freelancing platform. It offers lots of categories, both freelancing and local employment, simple navigation system and comfy skills rating. What is important there is no charges. Hi, Roshan. I just found you yesterday on Facebook, and I’m definitely loving the info you’re sharing. This is a great resource for a lot of us freelancers looking for more gigs. I quit my regular job last year to get more flexibility and hence time for family. I have been a Upwork and Freelancer.com member for over six months but could not see my first project till date. I am from India and experienced professional in Data Analysis, PowerPoint, and Data Entry related work. Would appreciate any suggestions on suitable company or tips to succeed. Is there any sites for teachers? I am a retired teacher and want to work from home. I was looking for freelancing sites to start my career and I found this. Big thanks for posting this! Thank you very much. I hope to get informative emails from you often. I’d also recommend the youteam.co.uk freelance platform, which is connecting software development companies and customers searching for high-profile developers making it a unique b2b marketplace. So if you’re looking a way to promote your business, it’s just the one for you. I am priya working as a freelancer form last 5 year and I have worked on all above platform. All are best but as of now freelancers aware that job quantity is very less on each platform. Now it’s time to move forward on some new platform that give us better revenue .. Here I come with one of up growing platform. Which is try and tested from my side. I am working on Lyfskill.com from last few months. It’s really awesome. Everyone must try this once. We just launched a new online freelance marketplace! After spending 7 years freelancing in NYC, Palo Alto and LA, our founder aimed to create a platform that truly behooves the best and most talented freelancers. Unlike other marketplaces, we don’t take a cut of freelancers’ rates, freelancers can name their own rates and the entire experience is free for freelancers. Our current clients include Fortune 500 brands, high-growth startups and other reputable companies in the tech, media and e-commerce industries, based in major U.S. markets. Check it out and build your online profile today at https://emissaries.co/freelancers/ Thanks!